Granted, not a digital instrument, but I still love acoustic pianos. Add a Moog PianoBar or a full-featured MIDI retrofit, and this is basically my dream instrument (and I’ve always been partial to Baldwins). 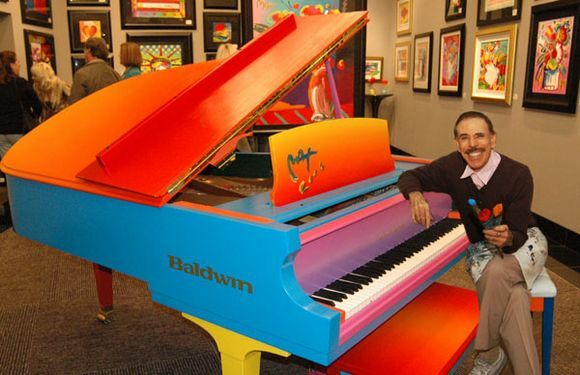 And Peter Max remains a terrific visual visionary. You can help realize someone’s holiday wishes by giving to a charitable organization like the Gibson Foundation. They do some really good work, including helping musicians recover from Hurricane Katrina. What worthier cause than helping give music to the world?